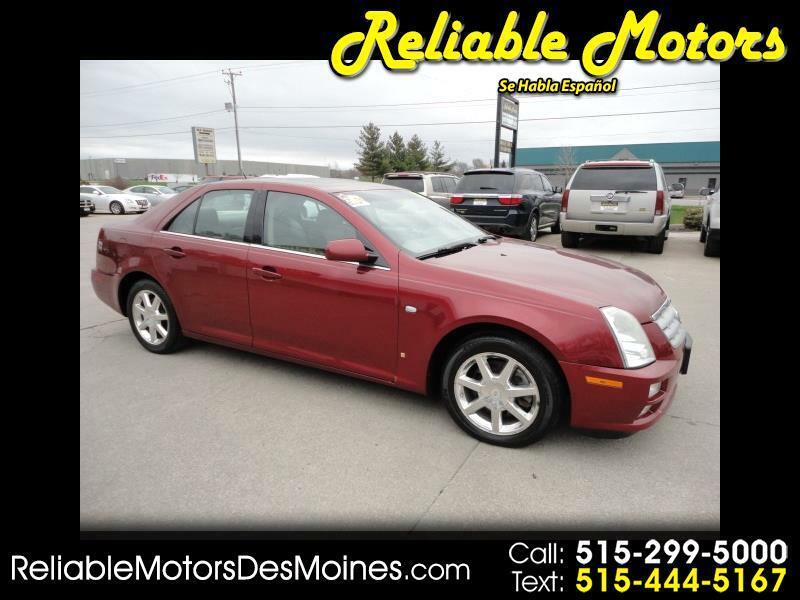 Thanks to its handsome styling, strong performance, well-balanced chassis and luxurious cabin, this stunning 2007 Cadillac STS is a strong player in an arena filled with talent. With a powerful 3.6 Liter V6 and a well-sorted suspension that blends a nice ride with athletic handling, and powerful brakes, the STS gives nothing away in terms of overall performance to its closest rivals. This STS wears the company's sleek style like no other, tastefully incorporating the trademark grille, stacked headlights, and sharply creased body panels. Plenty of handsomely stitched leather and the latest technologies, such as heated front seats and a power sunroof, are found here as well. With safety features such as brake assist, stability control, and Speed-sensing steering you'll have peace of mind when you are behind the wheel of this beautiful ride. With such a strong, well-rounded personality, the STS has no problem taking on challengers on the world stage. Print this page and call us Now... We Know You Will Enjoy Your Test Drive Towards Ownership!